I received my first name “Jammer” as a drunk rugby player pointed to my mother as she suffered my relentless in utero kicking and said, “Hey he’s jammin her! Jammer!” Since then the name has stuck. As of this writing I’m in my mid twenties, dreading my early thirties, attempting to grow a beard, working on achieving my masters in English and Rhetoric, doing everything in my power to get a collection of short stories published, and as always trying to understand what my wife sees in me. I knew that I had to be a writer (one does not become an artist one simply becomes aware of one’s abilities) during my sophomore year of high school when my teacher gave me her copy of Stephen King’s The Green Mile. Like a man possessed I drank up the writings of King and other writers like him until I experienced Christopher Hitchens in a two year hiatus from school. Since that time I have done everything in my power to grow and improve as a writer. It is who I am and everything I want to be, except of course for Cookie Monster (and maybe Rolf the Dog but only for the musical talent). My nonfiction work is mostly devoted to this blog or academia, but in my fiction I act as a crazy wisdom shaman attempting to demonstrate and examine societal norms and sexual politics. Should my work every become published I promise to make the announcement here. I hope these essays encourage any and all who read them, to not only think for themselves, but also to consider reading the great works examined here. Finally, a note on the title of this blog. Intellectuals have often been attacked for retreating into the “ivory towers” of their mind, rather than living in the real world. I mistook “ivory” for “white” when I wrote the title, I couldn’t remember the damn word, and by now it’s too late to retreat. I even remarked to my sister that this mistake could easily come to disaster should anyone replace the “t” in tower with a “p.” I do not deny that I live often within the confines of my own mind rather than in reality, but when I do retreat into that space I consider myself fortunate that I may retreat into a space brimming with ideas and knowledge. I do not apologize for being an intellectual, even if it’s a dirty word, especially if it is a dirty word. It will be my life’s effort to further pursue knowledge and wisdom, understanding clearly that I shall never possess even a fraction of it all. Hahahahaha. I clearly find your discomfort hilarious. But take heart, that’s only because it is. Love your “mission statement”/tagline at the top of your blog- it makes me really excited to read your posts! 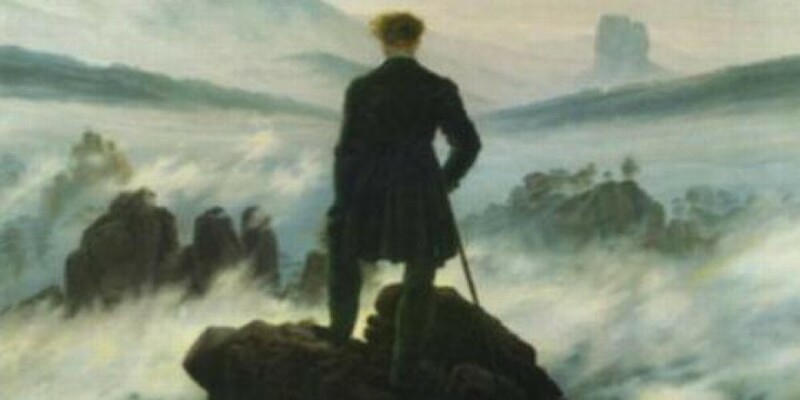 Also I love that piece by Casper David Friedrich you’ve used as the header!